Tim Sinclair is a Sydney-based poet, novelist, and occasional sound creator. His latest collection, Re:reading the dictionary, a word-nerd's homage to some of the more retiring words in the English language, was launched at the Queensland Poetry Festival in 2011. Other publications include the verse novel Nine Hours North, and the poetry concept album Brothers of the Head. Tim has also spent a lot of time at the backend of the business, with day jobs at the SA Writers' Centre (Adelaide), Poets House (New York), and Australian Society of Authors (Sydney). He is currently undertaking a PhD in Creative Writing at The University of Adelaide, examining young adult post-apocalyptic fiction. Dee loves the freedom and risk of parkour. And when he's set the ultimate parkour challenge he can't resist, but has he got himself in way over his head? Run is an unmissable paranoid thriller - genre fiction meets literary verse novel. 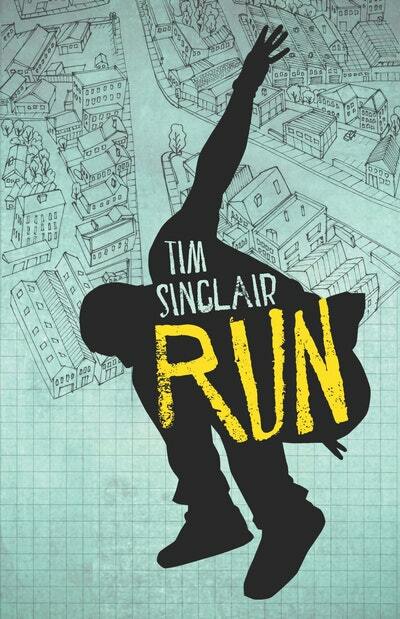 Be the first to find out about Tim Sinclair.